What Can Prescription Drugs Do For Your Stop Smoking Campaign? There are quite a few drugs available to help you stop smoking. This can be a relief for smokers that have tried to drop the habit for a long time and never been able to do so. You have to make sure that you actually get the assistance that you need rather than just thinking that something won’t work for you. You also don’t need to be embarrassed or feel ashamed if you haven’t managed to quit smoking yet. A lot of people have to come to it in their own time, and that means sometimes just going through the motions until you figure out what you need to do next. You need to believe in your heart that a day without tobacco will be possible for you. So, let’s get into the drugs that you can turn to help you stop smoking, shall we? The first thing that you need to know is that there are really only two that seem to come up in the conversation. The most popular one is Chantix, which is a medication that helps you stop smoking. You can still smoke while the drug builds up in your system, which is something that many smokers find pleasing. They can smoke for a little while and then ease down once the Chantix works with their body to release them out of the bonds of nicotine. 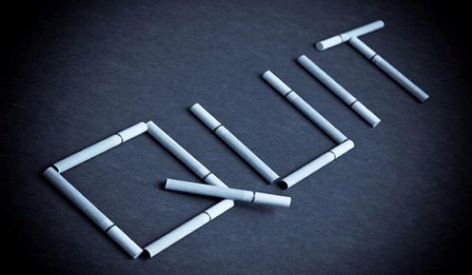 You’re still going to have to have the willpower and desire to make changes, but many find that it’s easier to quit smoking when you can get the chemical assistance from the Chantix. Another drug that comes in handy is Zyban, which is actually the identical twin of Wellbutrin. Zyban is what’s prescribed for those that want help with their stop smoking campaign, but we put both names here just so you have them in reference. Now, one thing that you might wonder after all of this interesting information is why nicotine is so hard to beat in the first place. Well, one thing about nicotine is that it releases dopamine in the brain. This is a pleasure substance, which makes you feel good. It reduces anxiety and tension and it can even suppress appetite. This is often why smokers who are trying to quit find themselves constantly eating or putting things in their mouths – they want to feel good, they want to know that they have things under control. So you are building a reward system — when you get nicotine, you’re happier. When you don’t have nicotine (like when you run out of cigarettes and you don’t have the money for more) — you’re cranky and upset, you’re irritated and you’re very hungry. Your body is screaming for nicotine because it wants that dopamine release. This is something that can be hard to deal with. One of the big things that you might have to tackle in life is giving up smoking. Smoking is something that can really keep you from the things that really matter in life, like friends and family. Not everyone wants to be around a smoker, as it impacts their own health. If you’re tired of having to smoke by yourself to keep from disturbing people, you might have made the decision to quit smoking. However, how do you actually quit smoking when it feels like all of the cards are stacked up against you? Indeed, you know more than anyone else that smoking is an addiction. It might not be that you really want to keep smoking, but you’ve noticed that when you don’t have that cigarette you’re not the lovable and fun person that your friends and family are used to. Any smoker that’s run out of cigs and not had the money to take care of the problem can definitely relate to this! One path to recovery might be medication, but it begs the question: are anti-smoking medications really effective? The answer is like many things in life: it really depends. You see, it depends on you and how committed you are to giving up smoking. The best medicine in the world cannot break a mind that’s determined to keep doing whatever it is that it wants to do. If you really want to keep smoking, you’re going to keep smoking. 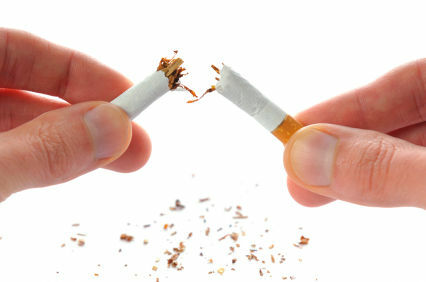 So before you do anything that involves prescription drugs, you will need to make sure that you are truly dedicating yourself to quitting smoking. That will make it easier to deal with the medication and the side effects that might be associated with it. Of course, a lot of us don’t really want to stop and think about the side effects that might be waiting for us when we go with these types of medications, but the truth of the matter is that it’s really something that you will want to think about before you get too committed. If you aren’t careful and think about the side effects, you’ll end up doing something that’s going to cost you dearly in the long run — why would you put yourself through that? The best place to start with your doctor. Talk to your doctor and show them that you’re really committed to getting things taken care of.